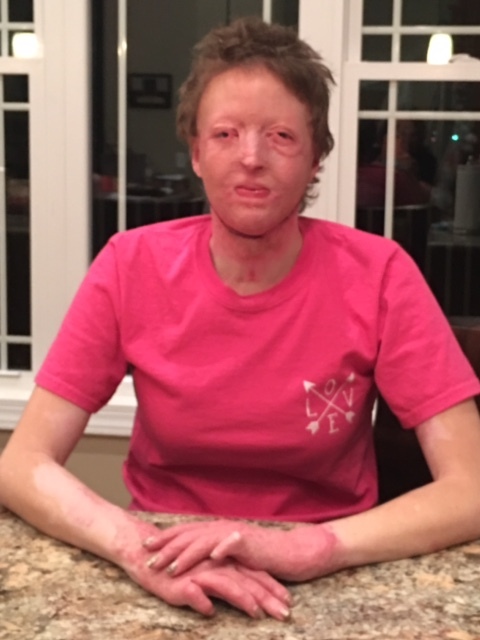 On September 30,2016 Courtney was burned in a horrific camp fire accident involving gasoline. 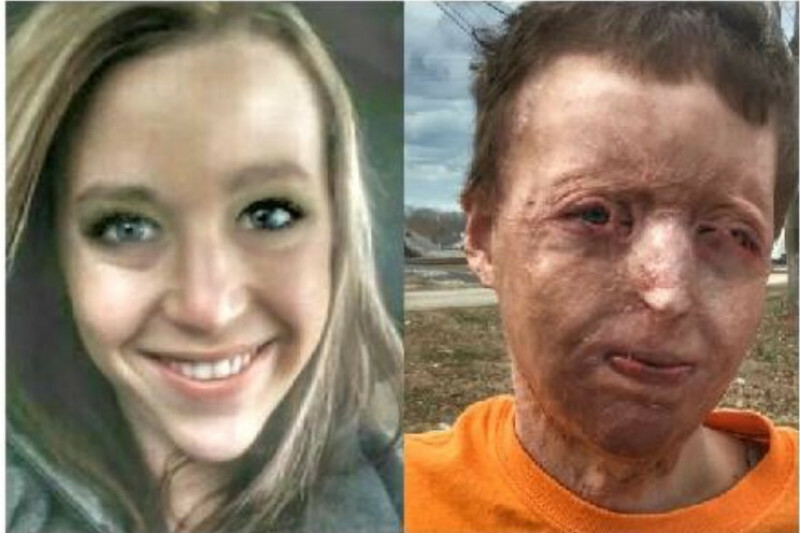 Courtney spent 51 days in ICU Burn Unit and has undergone Many surgeries and skin grafts. The doctor estimates around 12 more surgeries in the next 2 years. Two weeks after her release from the hospital, her husband abandoned Courtney and her four year old daughter. This left Courtney with no income and with the severe injuries to her hands, it is uncertain that she will ever return to work. Courtney is being forced to leave her home because of financial difficulties along with her mounting medical bills. A small group of loving people are desperatly trying to build Courtney and Caroline a small home on her family's land. We are in very desperate need of funding forher huge pile of medical bills that keep rolling in as well as cosmetic surgery in the future to restore mouth, ear and nose to a more normal appearance. As well as providing finances for her and Caroline a future considering their difficult situation. Today, September 30th is the 2 yr Anniversary of Courtney’s accident. It is remembered with a lot of pain from all she went through but it is celebrated with GREAT JOY that God brought her through to where she is today. Thankful to the Lord that Caroline still has her mother. And thankful that Courtney has her sweet daughter that has been a BIG part of Courtney’s recovery these last 2 years. She is still faced with pain especially in her hands and still has several more surgeries ahead of her. Thank you so much to all of you who follow her page and encourage her on with your prayers and sweet comments. courtney wants to thank everyone from the bottom of her heart for each and every donation ! She says her heart is Full and is truly HUMBLED by everyone's generosity. Thank you all for the prayers. Please continue to pray! She will be having a lengthy and delicate surgery on her eyes in a couple of weeks. Courtney recovering from hand surgery. Courtney is still undergoing surgeries once a month . She still has an incredible amount of itching and a long road ahead. She is the strongest person I have ever known! Her spirits are great considering all she has gone through. Please continue to pray. I would like to thank everyone from the bottom of my heart for your prayers and your donations! I am truly humbled by everyone's generosity! You madame made a 220 pound tattoo guy shed a tear. Me. Not out of pity but out of being inspired. You are inspiring. And it isn't everyday you'll come across a person with a heart of gold. You have the heart of a true U.S Marine and Navy Seal. And I say onto you OORAH! I can't believe that a man would leave his wife after this. The vows say " for richer or poorer, in sickness and in health and til death do us part.". This is TRULY HEART BREAKING! Any man who would abandon you in your time of need, you are better off without him. If he's that concerned with "looks" then let him get a blow up doll because he obviously does'nt care about what is truly important, the spirit the soul, the true substance and worth of a human being. I am touched by your story, and through this tragedy, may God himself reveal the blessing within it. You are beautiful, I see the real you. 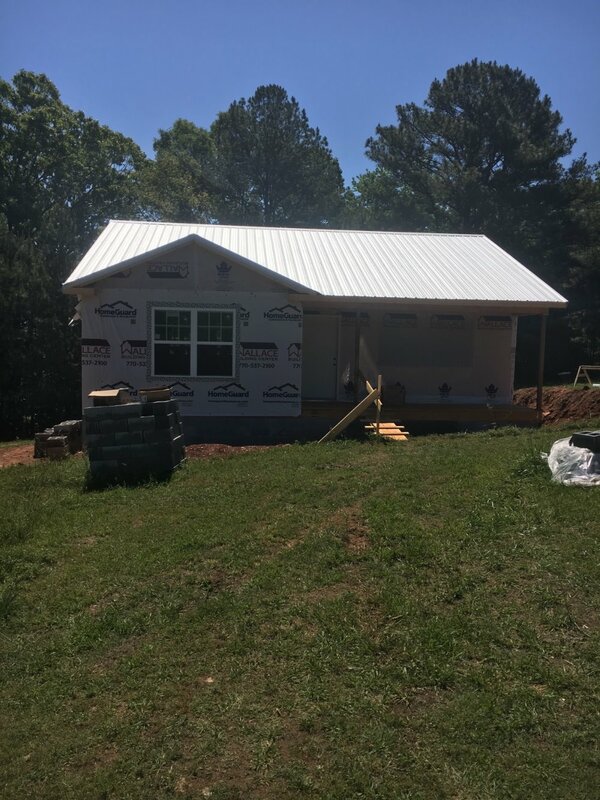 My husband and I both would love to help in any way. Trying to pull together donations now from contractor's. As a community we can do this I know. Anyone up for a good 'ole fashioned public shaming of the husband? Especially since this is HIS fault!? What a loser! Should say husband pour gasoline on campfire. People will think she's the fool that was playing around the campfire. . Your husband needs to pay all those Bills.. One day karma will get your husband. Good luck!! I would speak to an attorney about getting support and also filing a civil claim against the ex for causing this injury. I have an empty tank of gas, $15 and a dead dog and a 12 year old. I wish I could give but I will share and when I get my first check I will donate what I can. This breaks my heart. How might I donate a quilt for her new home? I know a tiny bit of your pain. 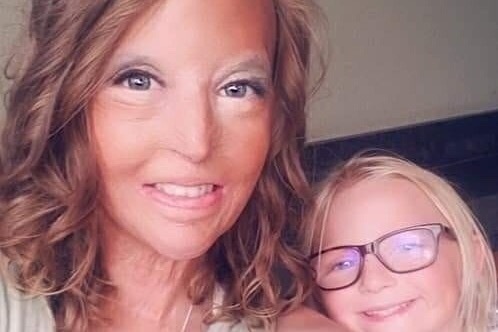 As a burn victim myself I'm sending you love and positive thoughts. If I had a vat of Silvadene to send i would send that also. There is nothing I can say that will help you prepare you for your new life, other than chose to be the Hermione Grainger, the Wonder Woman, the Hero that you are meant to be. I can't explain how the world looks differently to us, but it does, and it is breathtaking. So keep fighting, and see what 98 percent don't see. For any man to leave his wife because he "can't deal with it" after he's the one who caused "it" by throwing gasoline into a campfire, should be put in jail for a LONG time until he understands what he did. COURTNEY, you need to have your husband arrested for his unintentionally criminal act of arson and his intentional criminal negligence. And then you need to sue him to have him pay all of ANY bills that come from this. NO ONE SHOULD BE ALLOWED TO WALK AWAY FROM A MESS THEY CREATED THAT HURT SOMEONE ELSE SO BADLY. Besides that, you GO girl!! Courtney! You are bigger than any mountain. You truely have the courage and strength of an army living within you. I have prayed for you and will continue to pray for you. God has made you an AMAZING! lady. Sorry we cant donate money right now. But im a couponer and would like donate. Stuff to u like shampoo , d.o. , soap. If u can contact me. Very Sweet Lady I had the pleasure of meeting, Her daughter is so cute to ,I reamember her always trying to show me her kittens and she always looked very happy, My heart hurts for both of them. Prayers Courtny and Caroline God will provide he is going to touch everyone reading your story and your going to have a way to make your life as perfect as it was,You are beautiful,I know that you are a honest caring person and you care about people, God's working miracles you just rest and be strong for your baby girl. Thank you for showing me what I gave up on because of you ,I realized there are people out there that are honest. What is needed for the house? Lumber? Or is just a monetary donation best? I feel chills when I read your story. 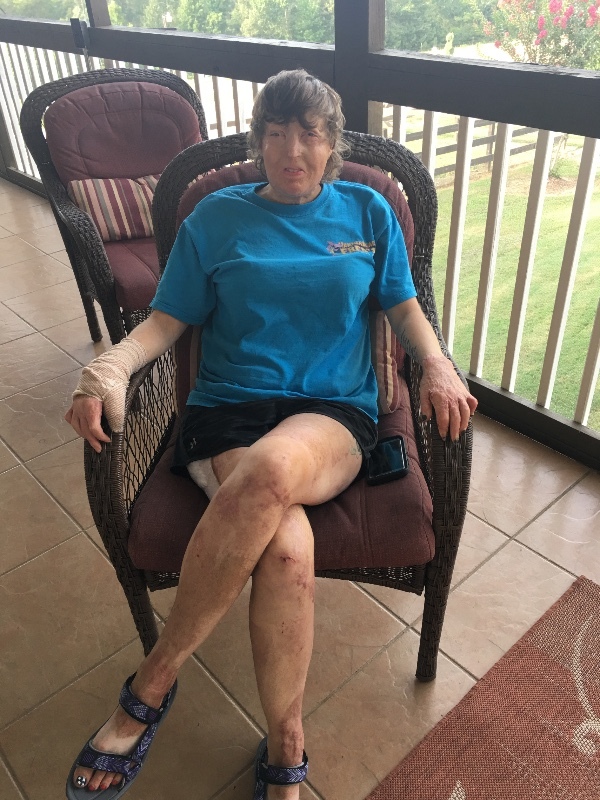 I am a burn victim of house fire. I was in a basement when hot water tank blew while in room of acetone. I escaped to only have my legs and arm burnt but severe 3rd degrees. I was in the burn unit in ICU before I had graft surgery when my husband served me divorce papers to take my business and any money I had. He never once called or came to visit me. I was a mom of a 12 year old daughter. I fought for 1.5 hours to recover from fire and 1 of a divorce. I love for you contact me even just for support emotionally. My burns were not as severe as yours but we have very similar stories. It's been 2 years now and I blessed to be alive but this journey has made me a very strong woman and mother. God has been very good to me.